Availability: Expected to ship on or about 04/14/18. SPANISH EDITION. Now available in MP3 format, this audio Bible is the best you could own. 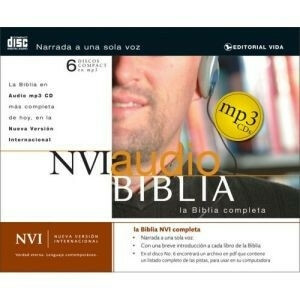 This NVI Biblia completa MP3 Audio CD (Spanish) will be a great way to experience the entire Bible with the new convenience of MP3 CDs.